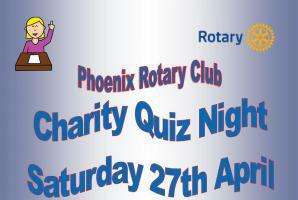 Rotary Chelmsford Phoenix - welcome! Please scroll/swipe down through this page to find out more about us, in addition to the pages linked in the menu, top-left. One of the main projects spearheaded by Rotary Foundation is the eradication of Polio through its support of a global vaccination programme. We hope that you find all the information you need. The Rotary Club of Chelmsford Phoenix is Chelmsford's newest Rotary club in England's newest city. It is a fairly informal club which welcomes both men and women as Rotary members from all backgrounds and all age groups. The mixed demographics of the members makes it an ideal portal to Rotary membership for older members of Rotaract or indeed people who have never previously had any involvement with Rotary before. Chelmsford Phoenix was established and granted its charter on 23rd July 2009. The club is a twilight club which meets on a Thursday evening 6.30 for 7.00pm. During college term times It meets at the Princes Room Restaurant at the Chelmsford College of Further Education. This is our way of putting something back into the community at a local level by allowing the young people the opportunity to get work experience in preparing, cooking and service a meal as well as running the bar. A very worthy cause. The current cost of the meal is £14.00 per week for an excellent 3 course meal. The venue for meetings during college holidays varies so please check for latest details which can always be found on this website. Rotary also has its own charity - The Rotary Foundation - which throughout the world, funds improvements in health, supports education and helps to alleviate poverty. One of the main projects spearheaded by Rotary Foundation is the eradication of Polio through its support of a global vaccination programme. 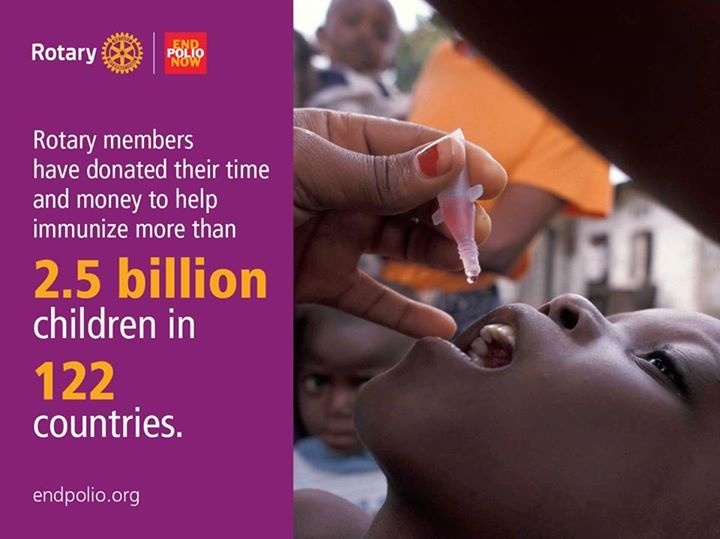 From a staggering 125 polio endemic countries in 1988, Rotary's efforts have reduced this to just 3 in 2015. Eradication of polio from Nigeria, Pakistan and Afghanistan would rid the world of this crippling disease forever. More information is here. Walk for Water is an awareness and fundraising initiative. School children aged 10-15 are sponsored by friends and family to walk 6 kilometres while carrying 6 litres of water in a backpack. Kids learn about global water issues, and raise funds to help solve them. The club organizes an annual walk around central Chelmsford, this years event was on Saturday 6th May. More information is here. Essex Search and Rescue is a charity which was founded in 2002 and is a purely voluntary organisation. They rely completely on funding and donations from generous organisations like the Rotary Club. 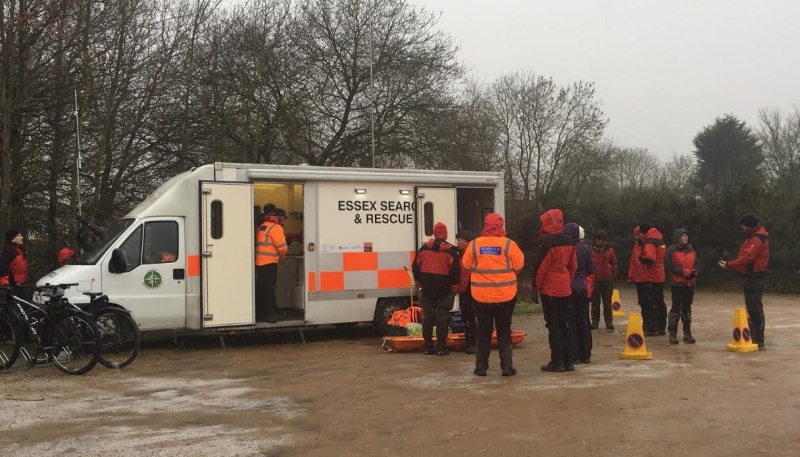 They are on call 24/7, 365 days a year and whatever the weather, they will respond to a request from the Police to look for a vulnerable missing person in the County of Essex. They could be looking for someone who is elderly and confused, suffering from dementia, despondent (people who are intent on committing suicide), lost children and people with mental health issues. ESAR work closely with families and the Police to ensure everything is done to find a families loved one. More information can be found here. 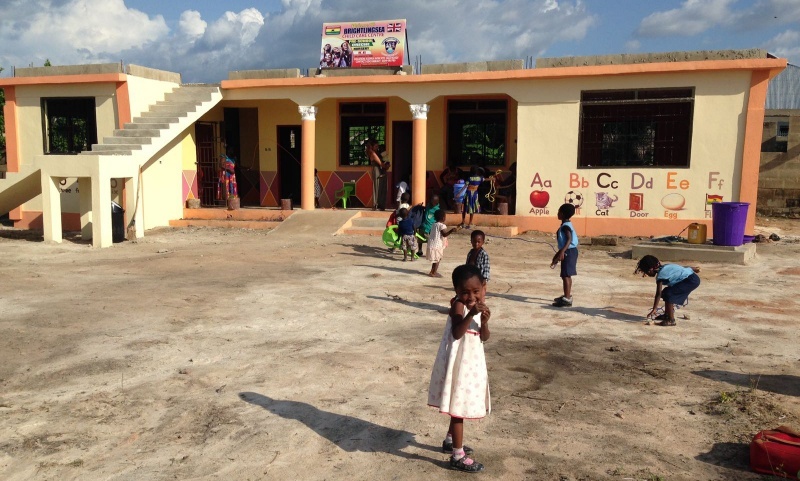 Porridge and Pens provides seventy children from poor backgrounds with a space at the Brightlingsea Free School, Mampongteng, Kumasi, Ghana. Children receive a nutritional breakfast and lunch at school, sadly its the only food children will eat all day. 90% of the children who attend our school are underweight. They also have a small nursery at their school to help vulnerable families who are desperate to work to put food on the table for their family. 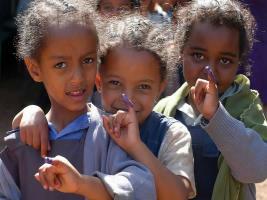 Porridge and Pens offers a nursery place to the most needy families and works with them to end the cycle of poverty. In addition to Foundation and Walk for Water, there are also all the international causes such as Mary's Meals and Shelterbox which are being supported. We should not forget of course, Youth, Community, Vocational and Environmental projects nearer home. The club is again organising a Junior School Choir Competition during March 2018 with the final being held on Thursday 4th April 2019 at King Edward VI Grammar School, Chelmsford. 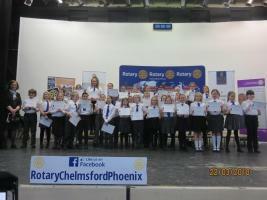 The club is also supporting youth projects in the Chelmsford area including the Rotary Youth Leadership Awards. For more details click here. Being part of Rotary is not just being part of a club, but being part of a family - with a district and a national side to it. There are four district meetings a year, normally held at Writtle College. There are also both district and national Rotary Conferences which are fabulous events. The District website can be found here. A varied programme of events and activities is organized. Many events raise money for a range of charities but the aim also is for them to be fun! There is also and extensive programme of social events. Full details can be found under the 'Programme' tab at the top of this page. Rotary describes itself as the world's first service organisation, as exemplified in the motto "Service above Self". In this context the word "service" has nothing to do with the armed forces, but refers to a non-profit organisation where members meet to perform charitable works, either by direct efforts or by raising money for other organisations. Rotarians are volunteers who give their time and talents to serve communities at home and overseas, men and women from business and the professions who share a common interest in helping others. A large part of Rotary is the fellowship and friendship which results from the shared enjoyment of business and social networking opportunities. Rotary in Great Britain and Ireland (known as RIBI) has over 55,000 members in over 1850 clubs and is an integral part of Rotary International, which has about 1.2 million members world-wide in over 200 countries and geographical regions. To contact us by e-mail; please click here. 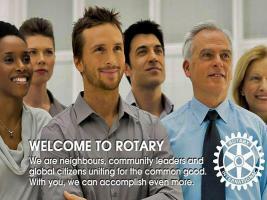 Details of all the Rotary clubs in Chelmsford can be found here. Click here to see a video all about Rotary in Britain and Ireland. We normally meet in the restaurant inside Chelmsford College where catering students cook us a delicious three course meal for £15. When the college is closed we generally meet at The Rose and Crown in Writtle. Please check the programme for details.